The Victorian age is known for many things, most of it not so good; a rigid moral code, child labour, Jack the Ripper and a whole host of disgusting, skin-crawling deseases. But out of all this, came one of fashion’s most beautiful, feminine and romantic periods. 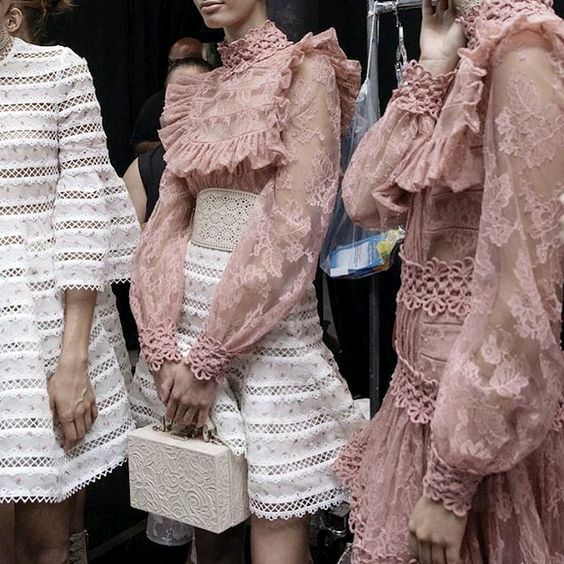 Well, Victorian fashion is very much in vogue again with fashion designers all over the runways 2016/17 playing out a full-blown love affair with the era in the form of delicate ruffled dresses, billowing sleeves, high buttoned-up collars and lace just about everything. But amongst all of this, there is one piece that really stands out for us. Ahh, the Victorian blouse. In all its high-collared-tiny-pearly-buttoned glory, adorned with the most delicate of lace or soft ruffles sings sweetly of a romantic yesteryear. All soft dusty sunlight and frilly white parasols, row boats, swans and picnics. The VB is slowly beginning to drop into our stores and online and there are some beautiful options already around. Kudos to Zimmerman for their exquisite collection. Whilst its sometimes fussy, restrictive silhouette may seem a little hard to style, we are here to show you how easy it is to wear and why it may just be the perfect little bit of pretty you’ve been looking for this Winter. 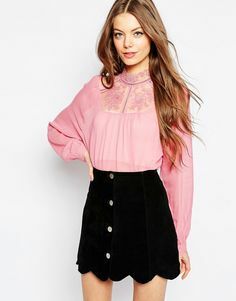 Style Note: A VB can have a lot going on; we’re talking high neck, ruffles, lace and puffy sleeves so take care to style simply. Move away from that “fussy, uptight, over-stuffed” look by pairing with your fav denim or, for a more edgy look, leather jeans. Tuck into a plain high-waisted pencil skirt for workwear. Simple hair and make up. No accessories needed. OK, button-up buttercup as we walk you through our street-style inspiration and top picks from the stores. Our picks from the stores and on-line. Click on image to shop. We hope that you enjoyed our little collection and would love to hear how you are rocking the VB – or anything else for that matter.